Dating can be really fun… when you’re in your twenties and thirties. By the time you get into your forties, it can be more like a job. There are so many more challenges once you hit the big 4-0. Your optimism and perspective will vary based on whether or not you’ve already had your mid-life crisis. Dating can be physically difficult, we are no spring chickens. We’re more like the old hens and roosters that need bifocals, Ben Gay and a reasonable bed time. Being older also means our bodies are seasoned. The lines on our faces are getting harder to hide, we creak when we stand up and hair color is often on the shopping list. Most of us have extra padding in various places and you can hold in your stomach for only so long. At some point you’ll have to let it out and take your chances. Then there’s the personal issues. By your forties, you have had plenty of life experiences, both good and bad. We tend to be set in our ways by now and know what our deal-breakers are. We also tend to be more cautious and possibly gun-shy at the first hint undesirable traits. If you are a 40+ single, may not know what you want… but you surely know what you don’t want. The list of your perfect-mate-stats is less of a wish list and more a process of elimination. Then there is the question of age. Do we accept our place in life and only date people our age and older, or do we hold on to our youth and go for someone younger? Can we keep up with somebody younger or will it just make us feel older? Do we date someone older to feel younger by comparison? Does age matter? If we set age limits are we ruling out a potential partner with agism? Is that too many questions about age? Let’s not forget the baggage we have by our 4th decade. Most people have kids ranging anywhere from college age kids to toddlers. Being a single parent is hard enough with plenty of drama. Now toss in the job of trying to have a love life and you’ve got a Mexican novella (overly dramatic soap operas in Spanish). Finally, how does one go about finding the right person? Do we hit the bars where the over-forties hang out, linger around the pharmacy or give in to the online dating services that show happy couples dancing in the moonlight? Too bad it’s not yet socially acceptable to ask new potential love interests to submit a resume and background check to warrant moving on to an actual date. Dare to dream. With all that, it really is a job. It’s exhausting just thinking about it. It’s no surprise that many people simply give up. My Osho Zen cards offer wisdom and comfort. I’ve discovered that before I got shopping for love, what I really need is recharge and get reacquainted with myself. I need to reassess my needs and wants. I’m thinking a power-point presentation with bar graph or pie chart. 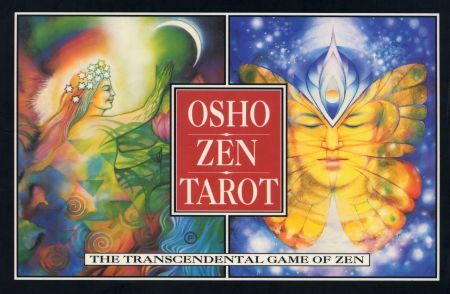 I do refer to my Osho Zen tarot cards when feel like I’m losing my mind. I know, I know… you can read into anything but that stuff, but sometimes I need a fresh perspective. The cards give me something to think about and I usually feel better after a reading. My dear friend Bambi recommended a book… (that’s a joke, get it? Deer – Bambi?) 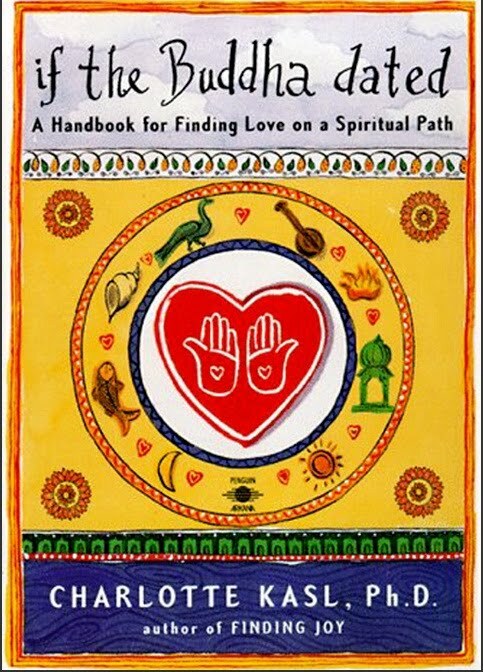 Anyway, the book is called If the Buddah Dated, A Handbook for Finding Love on a Spiritual Path. Although the book does explore spirituality, author Charlotte Kasl (a Ph.D.) is really talking about how to find a partner without losing yourself. Hmm… interesting concept. The book I'm reading right now. You’d think by now we’d have it all figured out, but we don’t. I am beginning to think that nobody has really figured it out. We still need a gender translator, maps and directions. I just started reading the book so I will keep you all posted on my progress. My next experiment; voodoo. I think the better news is that, at age 40, we all have a much better understanding of what we want, what we don’t want, and what we are willing to compromise on moving forward. While it was easier to date when younger, we weren’t fully aware of ourselves. In some ways, It almost seems like it could be easier.